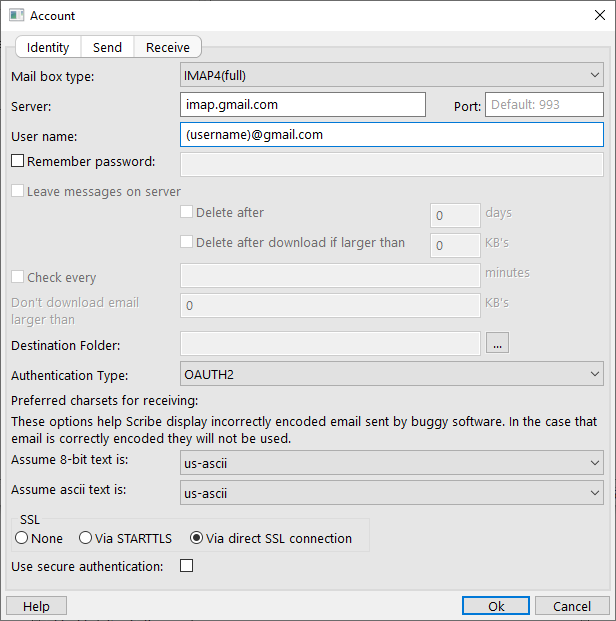 Here is a short tutorial on setting up Scribe v2.3.8 and later to send and receive mail from the Gmail. 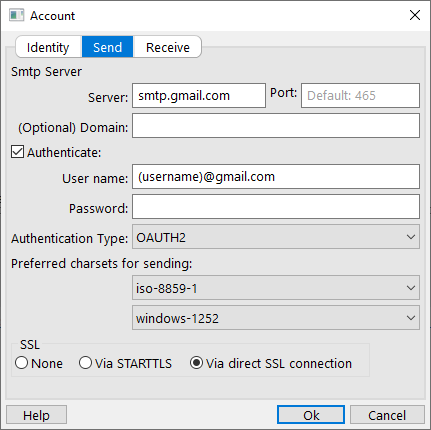 Note that you need to set both sending and receiving use the OAUTH2 authentication type. From Scribe's main window click File → Options. In the Identity tab call the account "Gmail" if you want. Add a display name and your gmail address as the email. Save your changes with Ok.
Click the gmail account, and then the receive log tab. Watch the progress and Log window to see if it connects and scans the mailbox. If it complains that OpenSSL is not installed on windows that get the latest build from here.